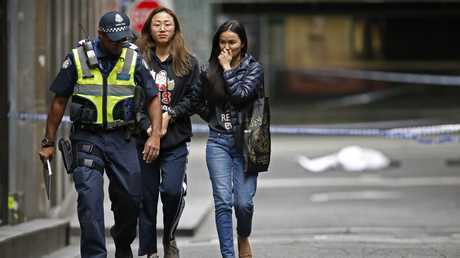 Melbourne CBD was flooded with emergency services workers after the terror attack. THE social media footage is posted in minutes. A man wielding a knife. Two police officers fending him off. Two civilians are taking cover, one bravely trying to block the attacker with a shopping trolley. Then a shot. BANG. 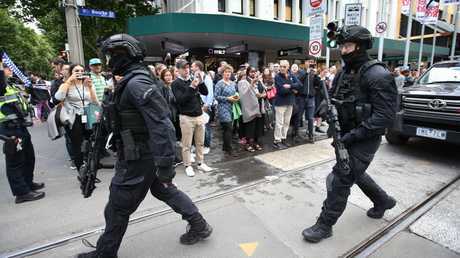 At the same time, Melburnians on the street gulp at another sight. Down a grey laneway is a white mound, a body under a sheet. The quiet crowd has gathered at Russell Place, a passing swell of mourners for an unexpected loss. They don't know who's lying there. But they do know that it isn't right. The body lies outside the Target Centre on Bourke St at 5pm on a Friday, when trams should normally rattle by and pedestrians should normally bustle in their rush to start the weekend. Bourke St is empty, bar the police. David Jones is blocked off. Pedestrians must detour in long right angles to get from one block to the other. The Christmas star celebrations above Bourke Street Mall have dimmed to the flashing lights of emergency services. Christmas seems like a misplaced backdrop for the repeated recorded police messages, in militaristic tones, warning people to avoid the area. It's happening again. The choppers. The confusion. Observers don't need all the facts to start drawing conclusions. "All too frequently," said a friendly police officer, one of hundreds here corralling the crowds. "This is happening all too frequently." Witnesses speak of their shock about 4.30pm. 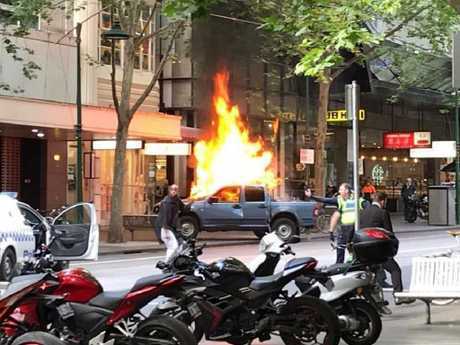 On the ground, afterwards, the reports are conflicting about a ute catching fire. It may have been moving at the time. Some witnesses speak of three pops before the car erupted into flames, others of a loud bang. There is talk of a bomb, or bombs, but no one really knows as they stare at the burnt-out hulk perched oddly on the footpath. A man had appeared. He started stabbing people. A man is seen covered in blood, one of three to be injured, and he is treated immediately after the threat is subdued. The final scene, as captured on the social media footage, seemingly shows a police officer stepping backwards and pulling the trigger as he holds the gun with two hands. In this modern age, everything is recorded. The scene of the shooting is recorded from three or more perspectives. An internet sensation becomes a macabre horror show when it emerges, a couple of hours later, that the man shot in the footage has died in hospital. Witnesses speak of heroics - and chaos. Some bystanders had fled and hid in a kitchen. One tries to stop the assailant with a chair. Someone speaks of a "whole bunch" of civilians piling in to help. One witness starts filming: "He just looked like a nutjob. He just looked insane, like he was on drugs or something." The scene unfolds in front of Drumplings venue manager Ana Kostakos. 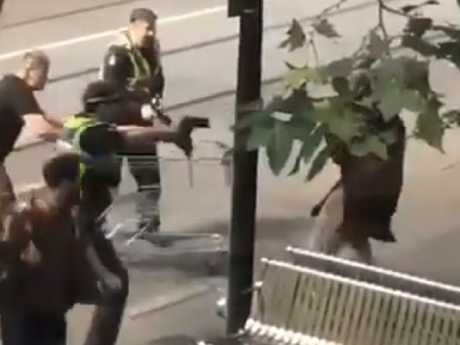 A policeman aims his gun at the man as a passer-by with a shopping trolley attempts to help. "There was a guy with the shopping trolley trying to help but everybody was running in all directions," she says. "People were trying to help victims because he was just knifing at random. The security (guard) from the building next door was also stabbed, but I saw he was sitting up so we know he survived." The place of events is eerie enough - about 50m from the rampage of James Gargasoulas in January, 2017. He turned left down Bourke St from Swanston St. This is to the right. But just as sinister is the timing. It is day two of the Gargasoulas trial. 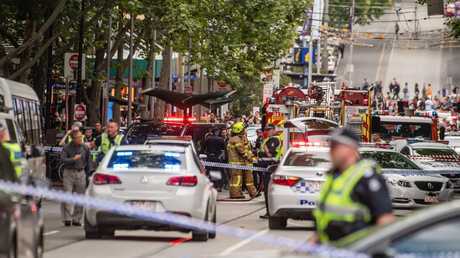 He has pleaded not guilty to six counts of murder, amid a myriad of other charges, and the court has watched footage of what once seemed like unknowable violence in Melbourne. It has heard the defendant, said to be in a drug-induced psychosis, wants to explain the events. 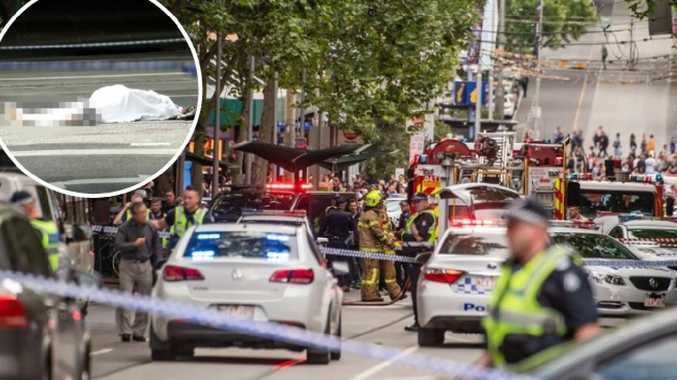 Police have recounted their versions of trying to get Gargasoulas to give himself up, to avoid the carnage that scarred the city's emotional psyche and led to bollards and other security measures that once seemed unnecessary. Victims naturally want to know why it happened. As they will with today's events. The affected number far beyond the injured. Ms Kostakos speaks of her traumatised staff, one man in particular who's just "devastated and it's taken a while to keep him calm". 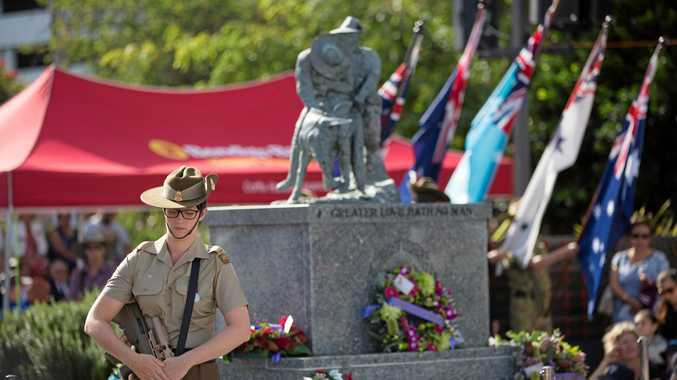 Police spoke of the earliness of their investigation, alluding to no known terrorist links. An hour later, more facts emerge. The assailant is a Somali with known terrorist links. 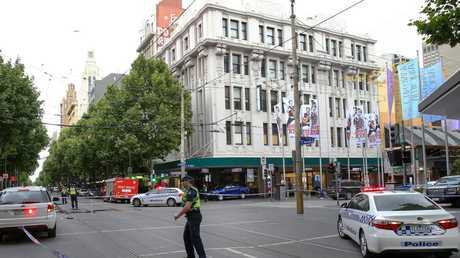 But the fact of the incident after Bourke St and Flinders St in December last year, raises enough questions in itself. 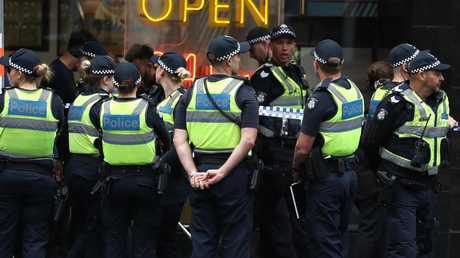 Now, after Friday afternoon, there have been three unprovoked events in Melbourne's city centre in less than two years. Are they isolated acts of madness? Or a pattern? An absence of understanding seems a long sentence - and a hefty price - for those who care about this wonderful city.